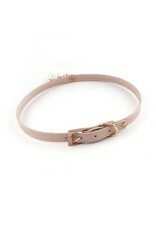 The cognac brown stitched leather used for this collar is soft and comfortable. All of the hardware is gorgeously plated in 14K yellow gold. 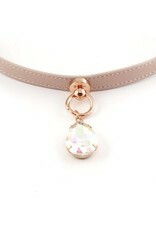 This 1" leather collar is a classic. 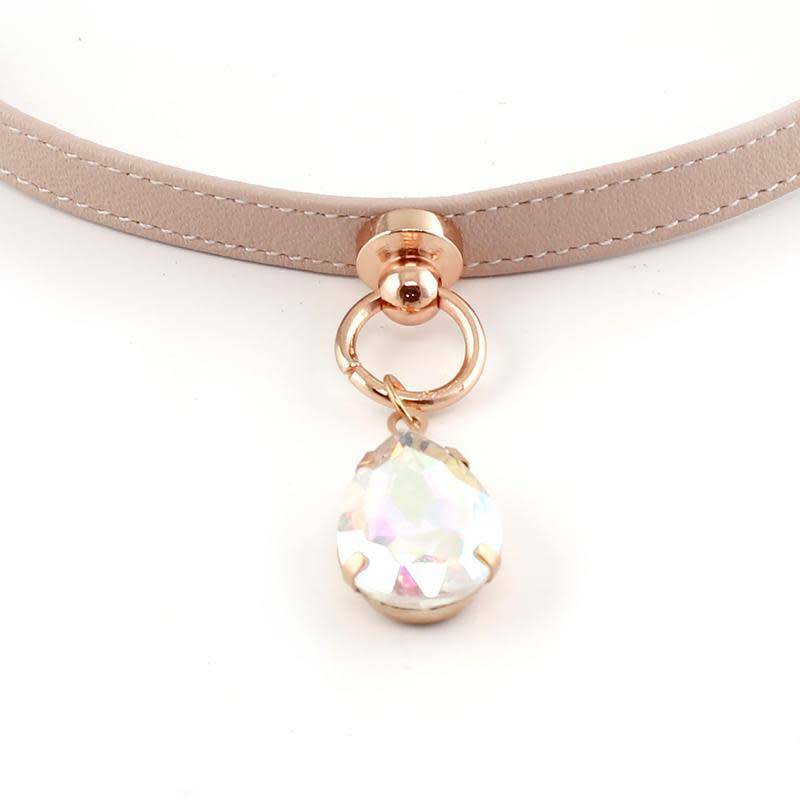 It's width is solid and a heavy reminder, while the leather is comfortable and easy to wear. 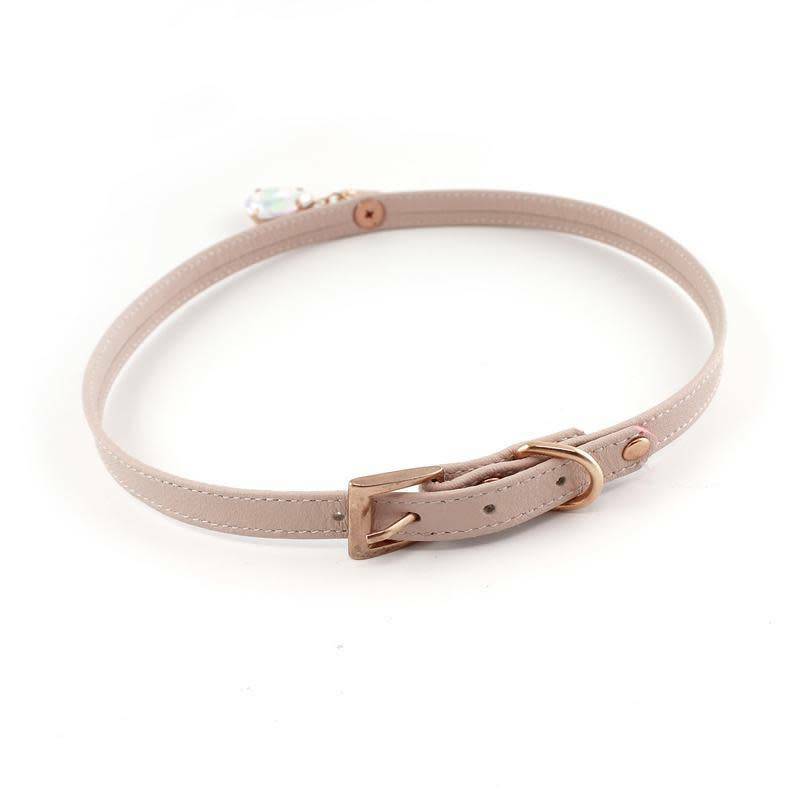 The natural stitched leather used for this collar is soft and comfortable. 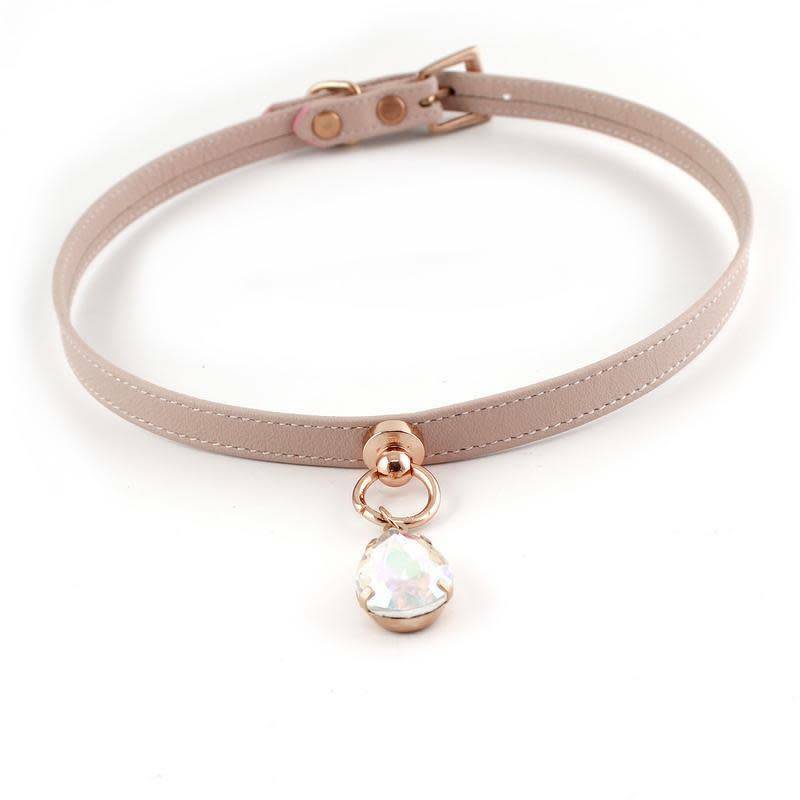 The leather used in this collar is not sealed and will age and color with wear. 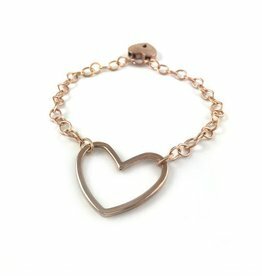 All of the hardware is gorgeously hand-plated in 14K rose gold. 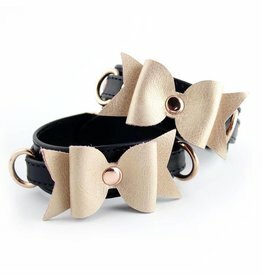 This 1" wide leather collar is a classic. It's width is solid and a heavy reminder, while the leather is comfortable and easy to wear. 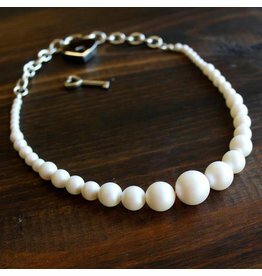 It's modern, minimalist style makes it perfectly unisex.